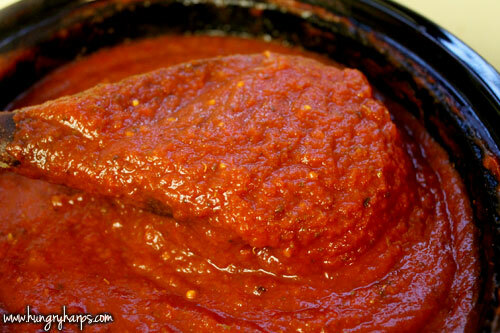 After many test runs and experimentation – I have my very own marinara sauce to share with you! 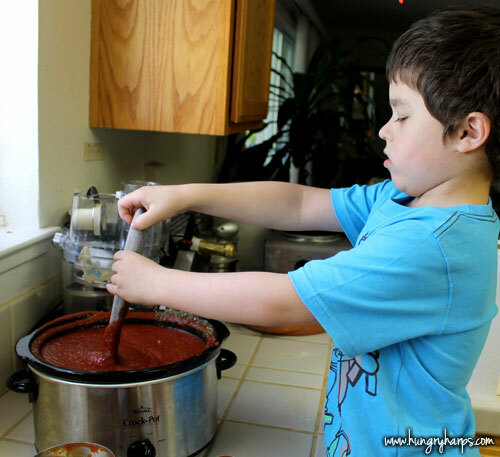 I have always wanted to have my very own recipe for marinara sauce. But not just any recipe – a tried and true, easy to remember, delicious recipe. 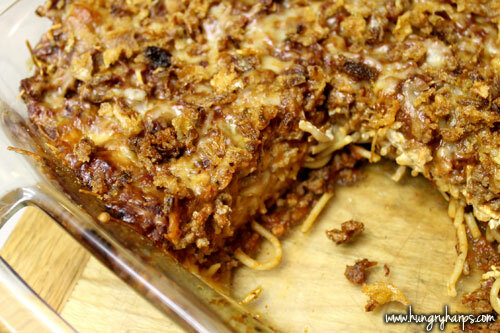 We had a LOT of pasta nights to get this recipe perfected - I have faith that it will please. 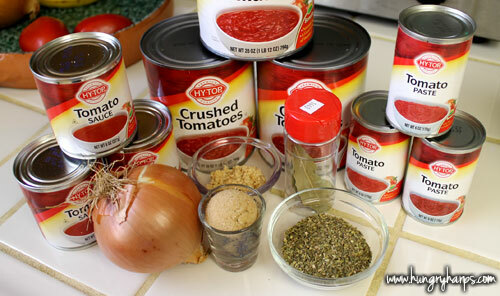 By using the quantities I have listed in the recipe below, you will have just about 4 quarts of marinara sauce. What the heck do you do with 4 quarts of sauce? Freeze it! 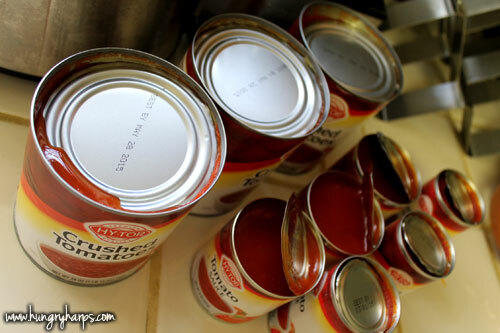 I am going to can this marinara sauce – I just haven’t got the jars yet. So, for the time being, I divide the sauce up in freezer bags and then defrost them before use. The sauce still tastes wonderful after being frozen. Score! 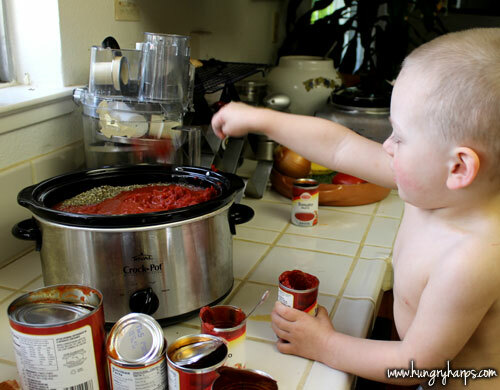 So… pull out your crock pot and gather up the ingredients – we've got some Hungry Harps Marinara Sauce to cook up!! First, we need to chop up that onion. 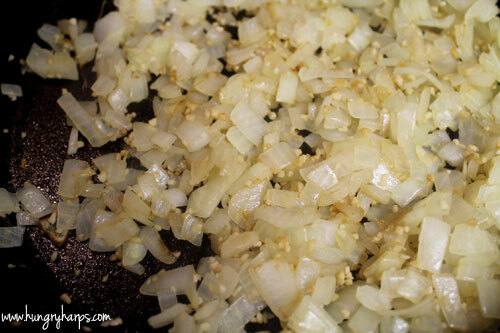 Next, saute the onion and minced garlic together until garlic starts to turn golden brown. I add the onions to the pan first and let them cook for a couple minutes before adding the garlic. Also, lowering the heat to medium helps avoid the garlic from browning too quickly. Cover and let cook for 4 hours on high. I stir it at 2 hours in to make sure the tomato paste is not clumpy. The sauce is done! Either use it then or save it for later. If you are going to freeze it, I would suggest letting it cool before transferring it to freezer bags. 1. Heat olive oil in skillet over medium-high heat. 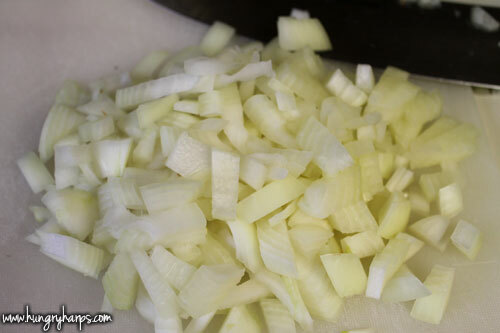 Add onions and cook until soft. Lower heat to medium and add garlic. Cook until garlic starts to turn golden brown. Remove from heat. 2. 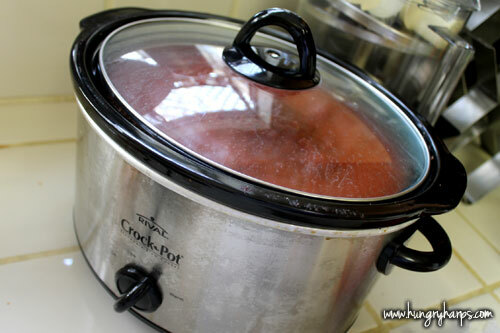 In crock pot, add onion/garlic mixture and rest of ingredients. Mix well. 3. Cook for 4 hours on HIGH heat. Do you have a tried and true recipe that you can always trust? I would love to hear what it is! !